The BEST idea you ever had. 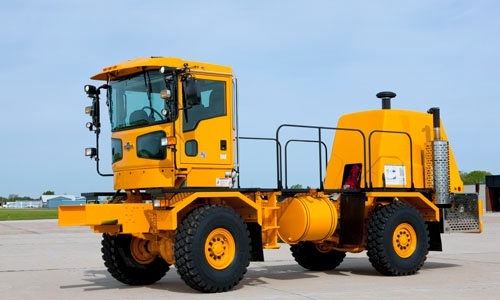 The H-Series snow chassis was built around the specific needs of those who manage extreme snow removal at airports around the globe. 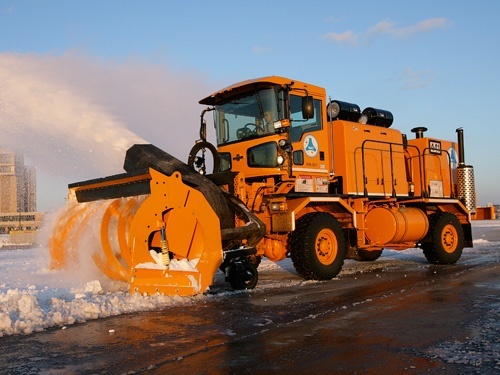 Advances in visibility, reliability, power, and flexible accessory integration (blowers, plows, scrapers, and brooms) come standard. 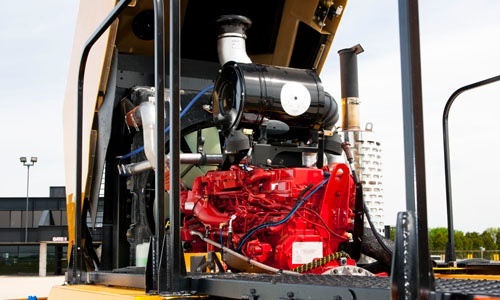 The 24/7 world-class service and support come with the Oshkosh name. It’s not just the look of the H-Series™ chassis that’s so impressive. It’s the look out. A much larger windshield, with 40% more glass and no corner posts. Rear three-quarter windows eliminate blind spots. Light bars are placed out of sight lines. Lower front windows give you a bird’s-eye view of attachments. The windshield stays clear with better wiper coverage and an improved defroster system. In every way, the H-Series is designed to give the operator an unparalleled view of the airport and its obstacles. Pilots, passengers, airport traffic control. They don’t care if you’re brooming a foot of powder or throwing two-foot windrows over the lights. They just want to see bare runway. 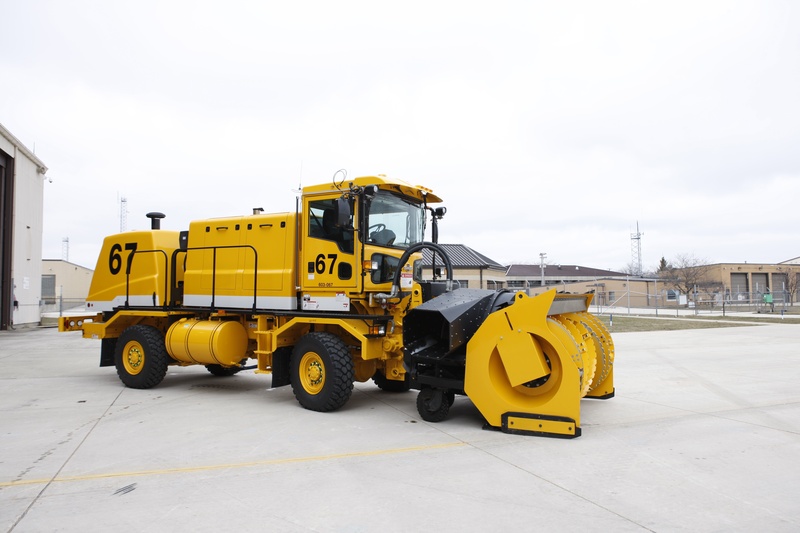 The H-Series is built to seamlessly integrate with a variety of blowers, plows, scrapers and brooms to adapt to your requirements. The H-Series cab responds with a host of features that will make operators as comfortable as they are productive. Like a cab that’s a full 10” wider and 10” deeper. Improved sound insulation for better communication. Two full size seats to accommodate a supervisor/training officer. Easier to operate digital climate control. Add in two doors, power roll-down windows, and yes, even cup holders, and operators will find that putting in a little overtime is anything but hard time. An unwavering commitment to safety has long been a priority at Oshkosh. 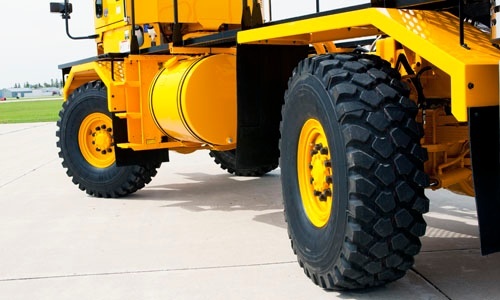 As is evident in the H-Series snow chassis. Unmatched power and speed are combined with built-in advanced safety features. 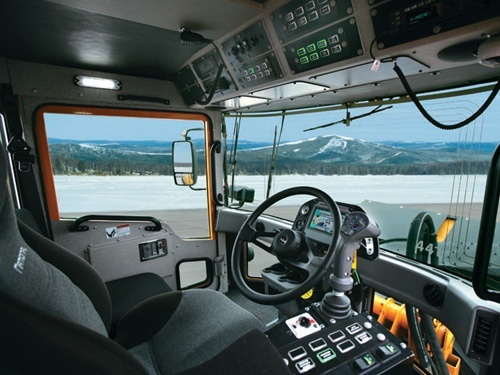 These include emergency stop button for components, a joystick that only engages when the driver is ready, and on-dash error messages that tell operators what safety interlock is blocking a selected action.